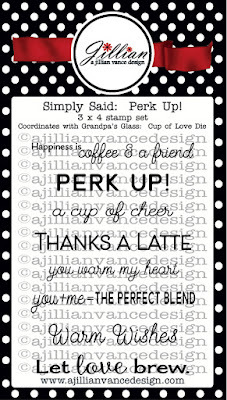 Join us on the the Coffee Lover's Summer blog hop! I have been wanting Jillian to turn her beautiful stained glass dies into stamps to color for a long time. And, she did!!!! 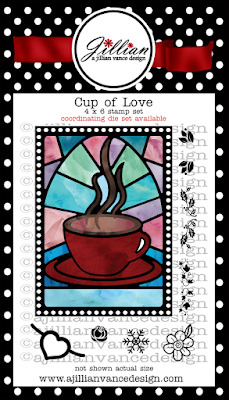 Kecia Waters on the blog today, with a card made from the new AJVD stamp set "Cup of Love". 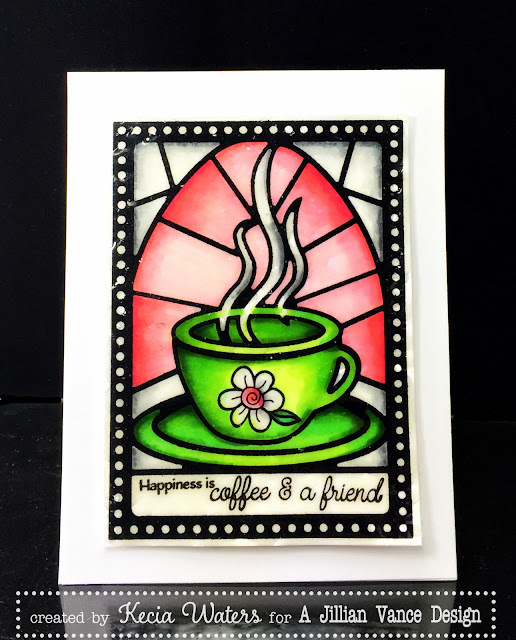 To make this card, I stamped the image of the stained glass cup and flower onto a piece of X-Press It cardstock with Memento Tuxedo Black ink. I colored the image with Copic markers, and then stamped the sentiment from "Simply Said: Perk Up" with Versafine Onyx Black ink. I covered the image with Versamark Watermark Ink and sprinkled Ultra Thick Embossing Enamel (UTEE) over the image. I applied heat with a heat gun. I repeated this process three times to get the thickness I desired. I then placed my stained glass image onto a white card panel. Thanks for stopping by the AJVD blog today! Make it a great week! Oh this is beautiful! Love the stained glass look! Unique! Gosh this is gorgeous! This is another one that's been on my list for a while... LOVE LOVE LOVE! That's an awesome glass effect! Lovely card! Beautiful design and coloring I love it. Wow! I just LOVE that gorgeous color! It looks like a stained glass window! Beautiful Jillian - thanks for being a sponsor too! Whoa, I LOVE stained glass and this is just stunning! Love the beautiful, bold colors and LOVE the flower cup. Oh, so pretty, love it. Love this--I will definitely be trying this. You achieved a beautiful stained glass look, love it! So gorgeous! Love the vibrant colors and the design. Awesome Card and great Colors !! Such a colorful card, Kecia, lovely coloring! Happy hopping and enjoy your summer! the green is so vibrant. lovely card! Saw it on FB..Absolutely Beautiful! This is beautiful. Love the stain glass. Beautiful stained glass design and love how you colored it too. Oh what a pretty design!! Absolutely beautiful! Thanks for sharing. Fantastic! Love the stained glass cup!